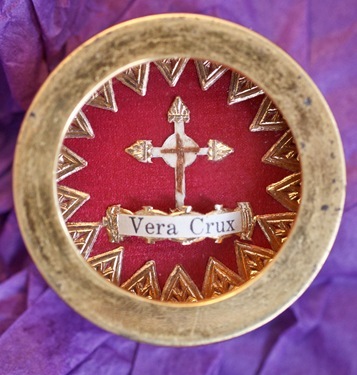 By now I am sure many of you have heard of the wonderful news that our Relic of the True Cross has been recovered. We are very pleased that the prayers of so many, the efforts of law enforcement agencies and the publicity that was given to the theft resulted in the recovery of the relic. 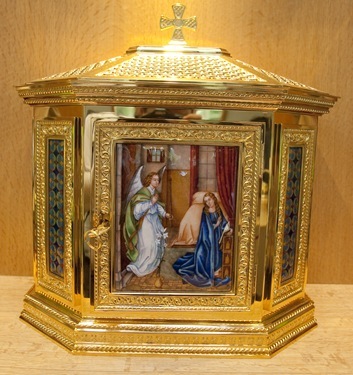 We are also very grateful that the relic, which has been venerated for 200 years in Boston, will continue to be part of our spiritual patrimony at the Cathedral. 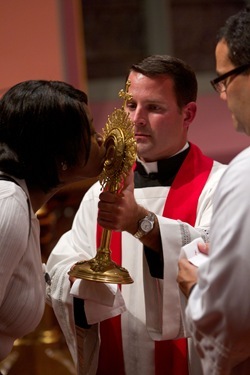 We were so happy it was back in time for the feast day of St. Helen Patron of the Holy Cross. 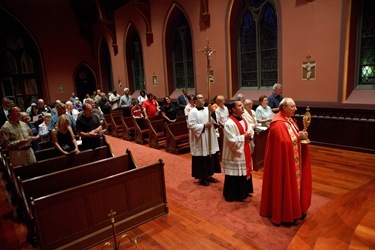 In fact, we held a prayer service that night. 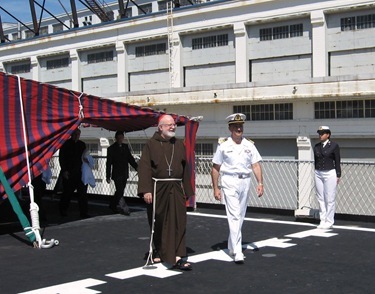 On Saturday, I had the pleasure of visiting an Italian Navy training ship, San Giusto, which was docked in Boston Harbor to celebrate Mass with Italian and American sailors. 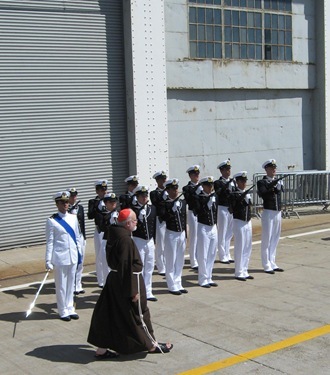 It was good to meet the many cadets training on the San Giusto, their chaplain Father Luigi, and their captain, Captain Vascello Edoardo Giacomini. They invited me to come celebrate Mass in Italian for the crew and they extended an invitation to the Italian-speaking people from our local community to join us. 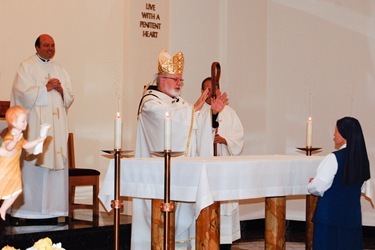 Father Antonio Nardoianni, the pastor at St. Leonard’s, came and concelebrated with us, as did Fathers Joe Baggetta and Kevin O’Leary from the Cathedral. The cadets had a wonderful choir. They sang all the parts of the Mass very beautifully. 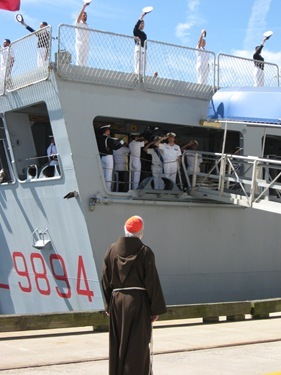 At the end, one of the sailors recited a very long prayer for their homeland and for all of their armed forces asking for God’s blessing, the intercession of the Blessed Virgin, and St. Barbara. I was very moved by that. It reminded me of something Christopher Columbus, who was Italian, wrote in his diary while crossing the Atlantic on the Santa María. He said each day he would pray with all the sailors through the intercession of St. Barbara, and would sing the Salve to the Blessed Mother. 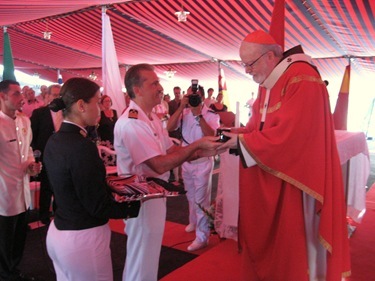 I was impressed that, 500 years later, young Italian sailors are still following this same tradition. Afterwards, there was a lovely meal and socializing with the sailors. 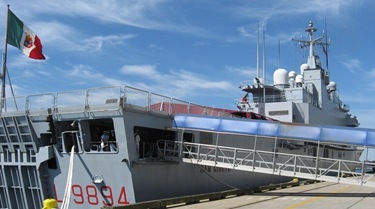 There was also a group of sailors from our own Naval Academy in Annapolis who were there to spend a week on the ship. 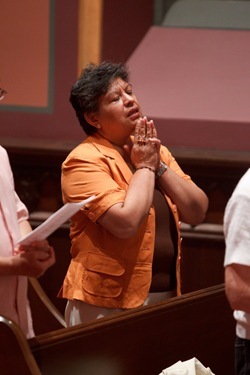 Sister Mary Philomena Mattuzzi, of the Daughters of St. Paul in Jamaica Plain, was celebrating her golden jubilee on Sunday, so we had Mass with the sisters. As you might expect, they had their special choir singing for the Mass. 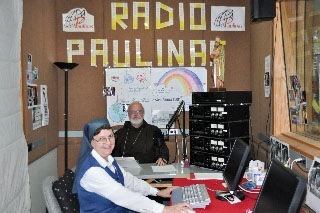 Afterwards we had a breakfast, and then I taped a Spanish radio program for Sister Ruth, a Columbian sister who has the ministry of Spanish radio. She sends her programs to 150 different radio stations throughout the United States and Latin America. 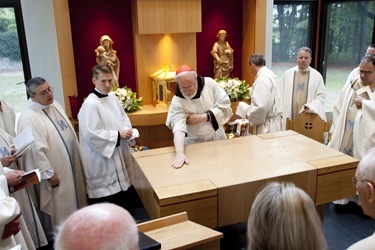 I had not been in that studio for almost 25 years where I made Spanish videos 25 years ago —one on prayer and one on the Mass. I told them that my beard was still red in those days! 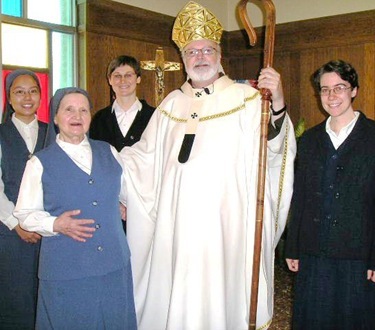 Sister Germana, the former provincial, was there. She’s had some health challenges, but she’s doing very well. 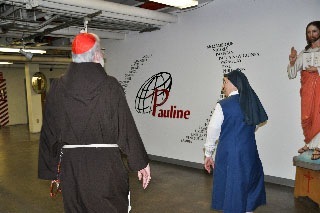 I met her blood sister, who is also a Daughter of St. Paul. 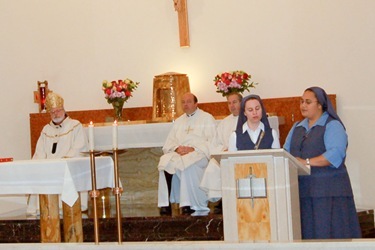 Sister Germana is going to be stationed in Charleston, South Carolina and is looking forward to her new assignment. 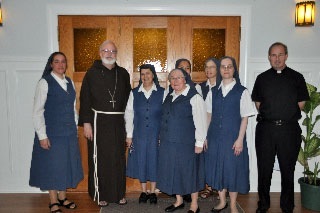 We had a very nice visit with all of the sisters. They have three novices and three new novices coming in. 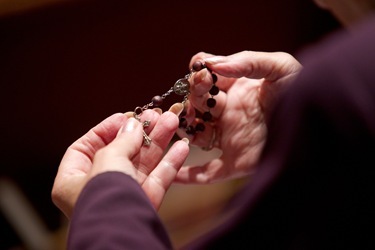 We pray the Lord will continue to bless their community and send holy religious women, and bless the ministry they have using the media to spread the word of God! 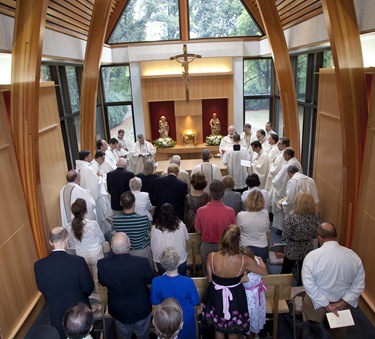 After that, I went to St. Joseph’s Retreat House, run by the Oblates of the Virgin Mary in Milton, for the consecration of the altar and the blessing of their new chapel there. 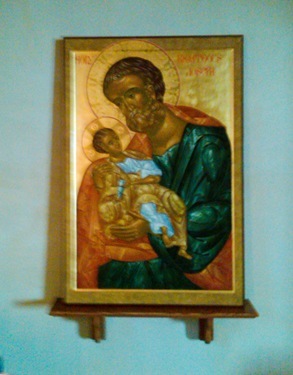 It is a very lovely chapel, which they based on the Schoenstatt Chapel in Germany. 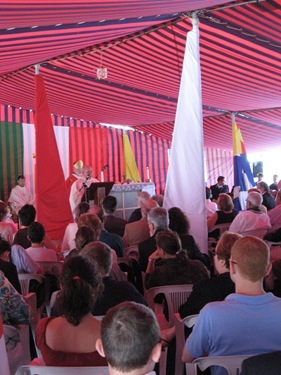 The Schoenstatt Movement is very widespread in Latin American and they always build an identical chapel wherever they are. 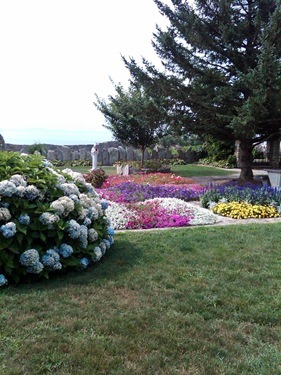 On the back wall, they have statues from Oberammergau of the Blessed Mother, and St. Joseph, and a beautiful tabernacle from Spain with the Annunciation on the door in enamel. The back wall is basically all glass, through which you can see the woods. Their superior general, Father Sergio from Italy, was there and a number of their missionaries from the Amazon region of Brazil. 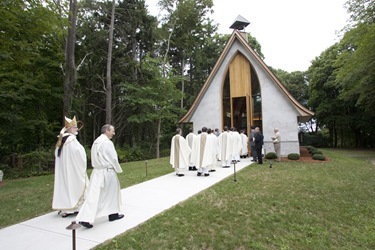 Their current provincial and Father Bill Brown, their former provincial who was very instrumental in the building of this chapel, was also there with a number of their friends and benefactors too. It was a very beautiful celebration. 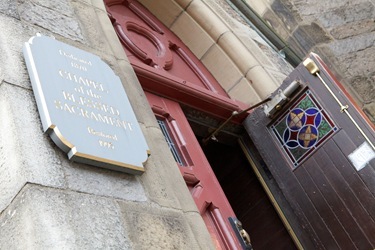 We know that will be an oasis of spirituality, prayer and reflection. It was the Feast of the Assumption of Our Lady, and I told them that the longest musical in the history of humanity was being performed the same day at the cathedral in Elche, Spain. 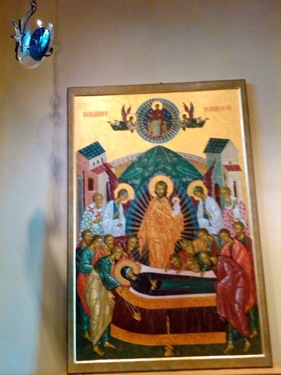 I told them how the Blessed Mother is hoisted up through the ceiling in the cathedral to the applause of the people. They had been doing it for so many centuries. 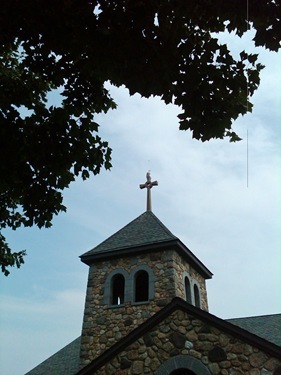 They had a skylight in the church there, so we would be able to do it right there too. 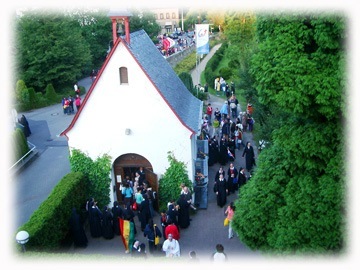 Some people say the doctrine of the Assumption was invented by the Catholics in the 1800’s, but from the Middle Ages that reenactment of the dormition and the assumption of Our Lady is portrayed every year without fail in that town in Spain and all sung in the local language, Valenciano, a very wonderful experience. 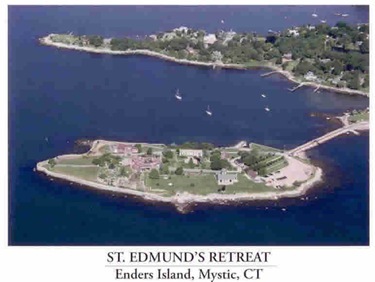 Then I departed to Enders Island, Connecticut, to be with about 20 bishops from the region making our annual retreat. 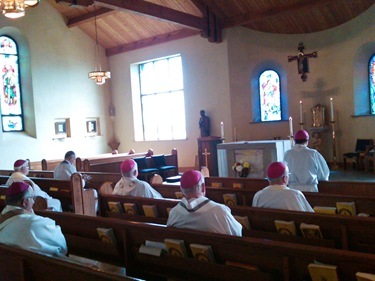 The Edmundite Fathers and Father Tom Hoar are always so hospitable to us there. 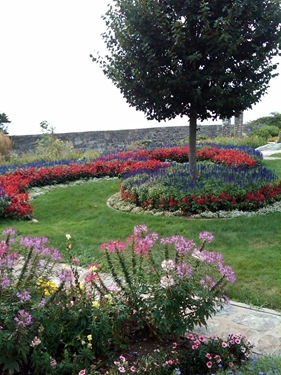 It is a beautiful spot, a tiny island on which there is a retreat house and a new chapel. 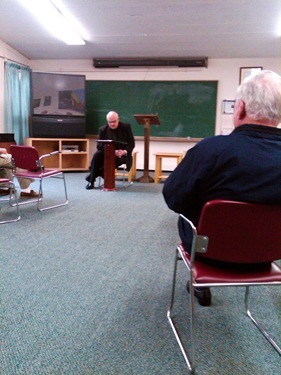 Our retreat master was Father Stephen Almagno. 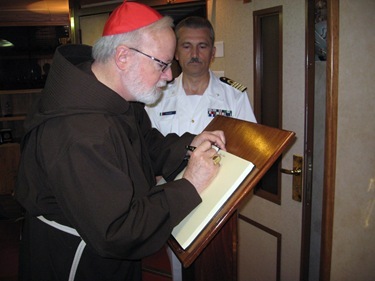 He is a Franciscan of the Immaculate Conception province and was Cardinal Wright’s assistant for many years, head of the Holy Land Monastery in Washington, and taught for many years at the University of Pittsburgh. 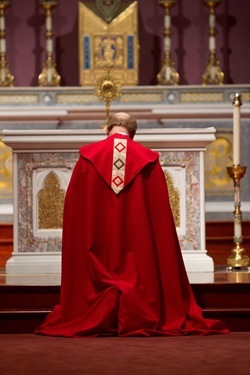 He is quite a scholar, and gave us a beautiful retreat on Cardinal John Henry Newman in light of the fact that Cardinal Newman’s beatification is coming up next month.